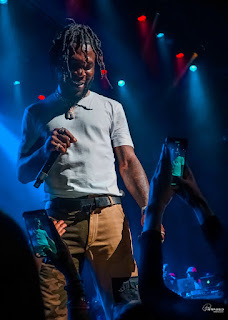 Burna Boy was in full "African Giant" form on Friday night, when he took over Harlem's historic Apollo Theater for a sold out show, marking his return to NYC ahead of his highly-anticipated, upcoming set at Coachella. The artist follows in the steps of fellow African acts Salif Keita, Sarkodie, and Black Coffee, who've all sold-out shows at the Apollo, which has also hosted legends the likes of Fela Kuti and Miriam Makeba. Burna is the first Nigerian act to have had a sold-out a show at the storied venue, the Apollo confirmed to OkayAfrica. 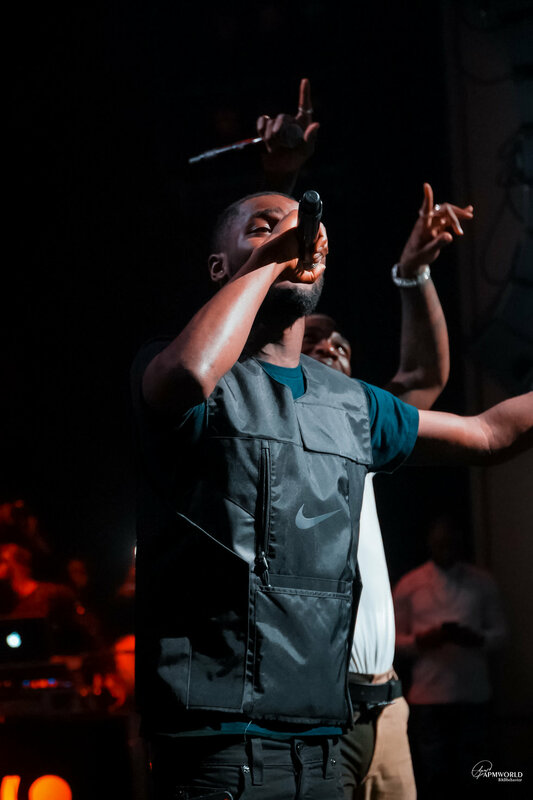 The occasion felt special—like a sort of cementing of the cultural influence of Nigerian pop. The seats of the close-knit space filled quickly as the night's hosts entertained the well-dressed and energetic crowd with the usual Ghana versus Nigeria banter. 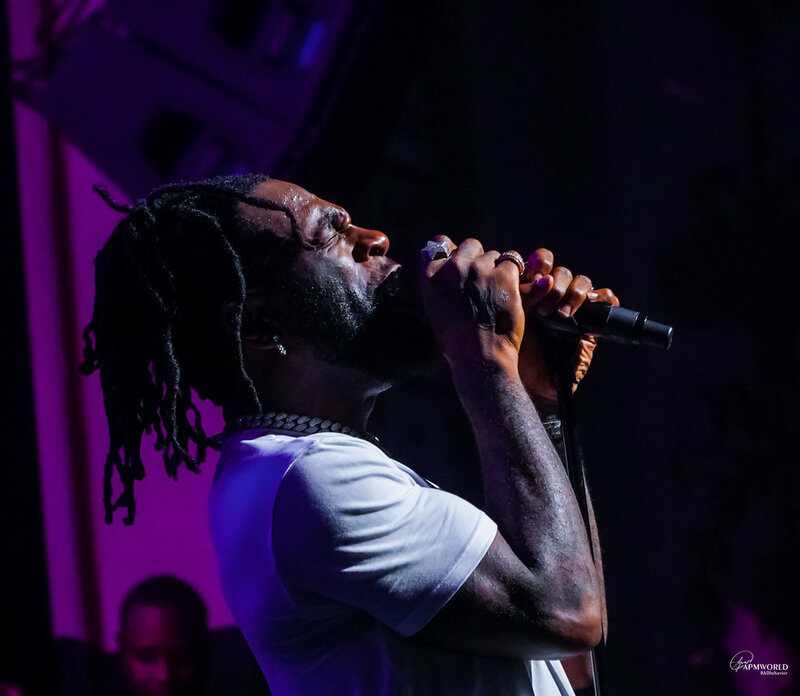 The lively audience chose to ignore the theater's signature velvety red seats in favor of standing and jamming out to the string of now decade-old "afrobeats" classics played by DJ Buka ahead of Burna's arrival. A few openers later and Burna Boy hit the stage in a confident stride, triumphantly scoping out the jam-packed crowd before reaching down to meet fans' expectant hands. He opened his hour-and-a-half long set with "Heaven's Gate," his 2018 collaboration with Lily Allen, before jumping into the 2013 banger "Yawa Dey." This was followed by performances of nearly every track from his celebrated 2018 album Outside, throwing in renditions of one-off releases like "Deja Vu" and "Hallelujah" in between, as well as earlier fan-favorites including "Like to Party," "Don Gordon" and the heavily Fela-inspired "Soke." 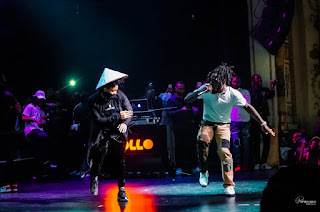 He brought out British-Nigerian rapper Dave for a performance of their recent collaboration "Location,"as well as choreographer and 100 Women Honoree Izzy Odigie who showed off her impressive zanku during "Killin' Dem." Of course, the song on everyone's mind was "Ye," the anthemic hit, which closed out the night. 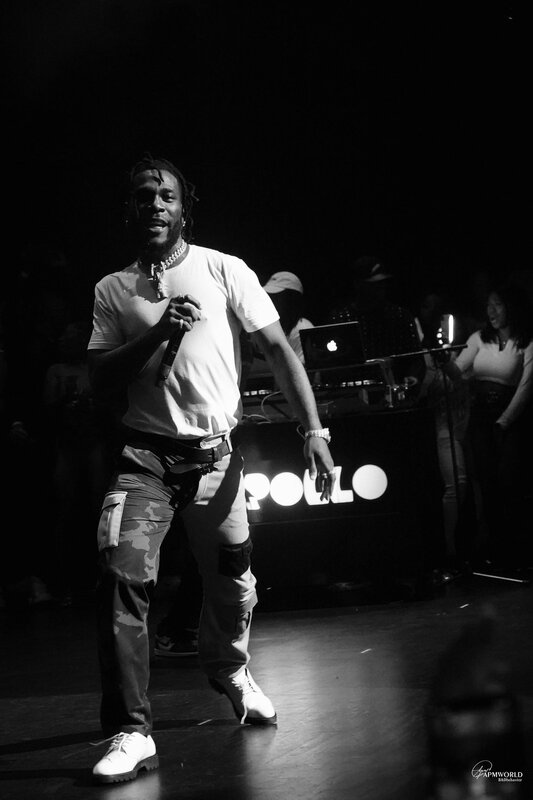 As if on cue, the audience went into an uproarious sing-along as soon as the beat dropped, leaving Burna with little work to do besides holding out his microphone in the crowd's direction. 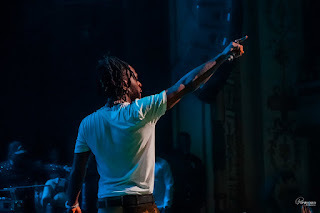 Before the show's end, the artist called for a moment of silence and (phone) lighters raised in honor of Eritrean-American rapper Nipsey Hussle and Kolade Johnson, who was killed by Nigeria's Special Anti-Robbery Squad (SARS) last Sunday. It was clear that the fickleness of life and the importance of cherishing loved ones was on Burna's mind, even during the cheerful occasion. 'Whoever you love, tell them you love them at all times," said the artist in a parting message. 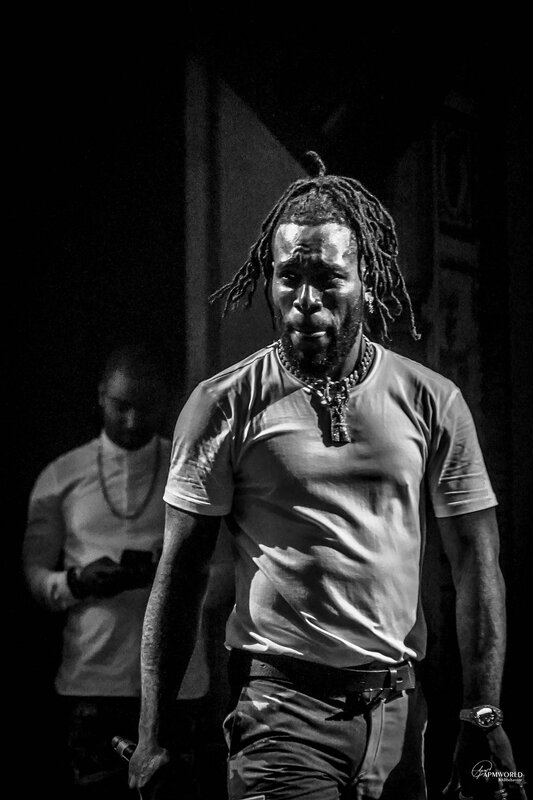 "Cause you don't know when life is going to end and you're never going to see them again...make sure you do it as much as you can because when you're gone and you can't do it anymore, you're going to feel like a dickhead for not doing it now." 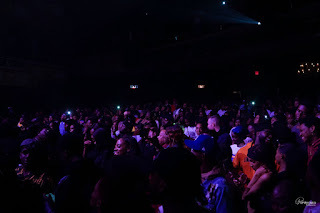 Check out more photos from the show below, by photographer Apmworldmag.